For Yamaha Vino 125 standard scooter seat. 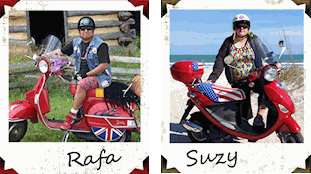 If you are looking an accessory that will make you and your Vino 125 stand out in a crowd, look no further - this is it! 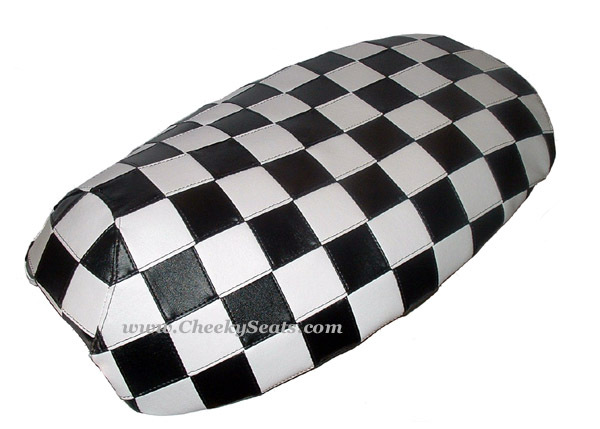 Scooterists love checkers, and if you love the Mod look and dream of being King or Queen of the Mods, this seat cover is going to put you right in line for the throne. Want even more checks? 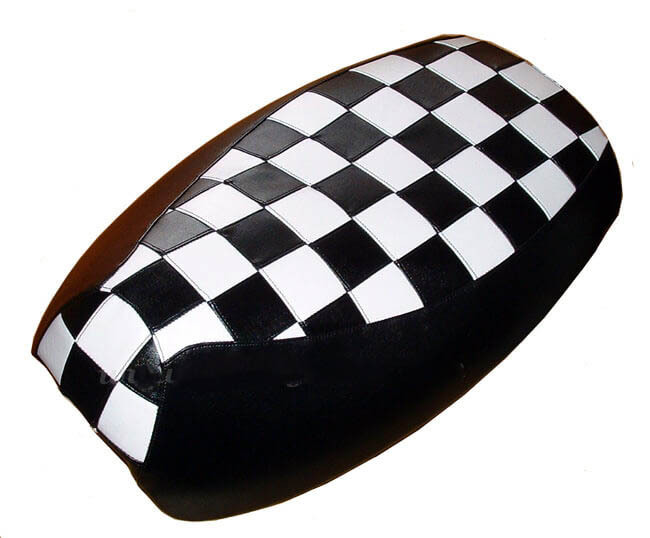 For those that can't get enough, we offer the selection of our full checkered seat cover for the Yamaha Vino that will catapult you into Mod bliss. This is not a printed material, our Ultimate Mod scooter seat cover is hand tailored from black and white marine grade squares painstakingly stitched together, and then topstitched. This results in a seat cover that is incredibly strong, waterproof, and will not fade in the sun. Each square is 2.5 inches across, and there are a LOT of them!